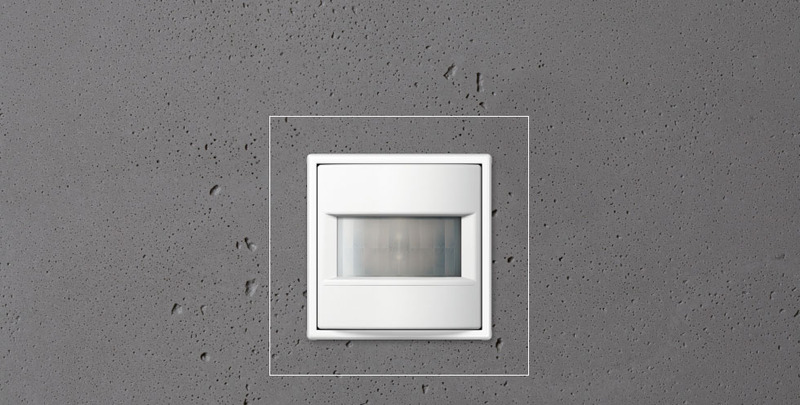 With improved measurement characteristics and expanded functionality: the KNX automatic switch 1.10 m and 2.20 m.
The 180° detection range of the automatic switch is monitored by two PIR sensors that can be used individually or together. In this way, difficult room situations can also be optimally covered, such as very small rooms or stairways. In this respect, they should be used as motion detectors in corridors and passages. On the other hand, as “observer with switch-off brightness”, they are outstanding in use, for example, in offices. 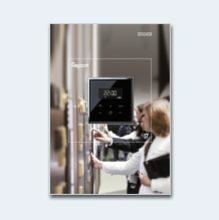 The software for the automatic switch is matched with respect to its important parameters to the JUNG KNX presence detectors. This enables easy setting up. New performance feature: the integrated temperature sensor. The actual room temperature is measured with this. This can be signalled to various KNX devices for heating / air conditioning regulation. 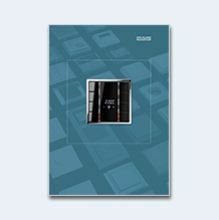 For more information, please refer to our online catalogue. An overview of all new items you can find in the PDF "New Items"